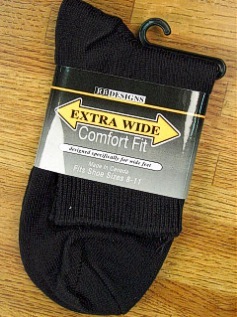 Specifically made for: Wide Feet * Swollen Legs * Medical Reasons. Comfortable, Non-Binding. Extra-wide Foot & Leg.